Preparing holiday dinners will never be the same when you purchase these unique Christmas gifts for women this holiday season! Are you tired of watching that lovely lady in your life struggle with kitchen accessories that never seem to work quite right? Wouldn’t it be nice for her to have the convenient, modern tools that make creating fabulous meals a cinch? If you are searching for Christmas gift ideas that add a touch of innovation, safety, and style to her kitchen, look no further. Super Elf has been cooking up some great ideas! Grab a couple of those delicious Christmas cookies and I’ll show you some of the best selling kitchen gadgets around. Forget about those bulky, outdated, dysfunctional and downright ugly kitchen tools and gadgets that all of those discount stores downtown have on their shelves this holiday season! Check out these unique items from top merchants like Lifestyle Dynamics, Zulu Quality and First Aid Shoppe instead. 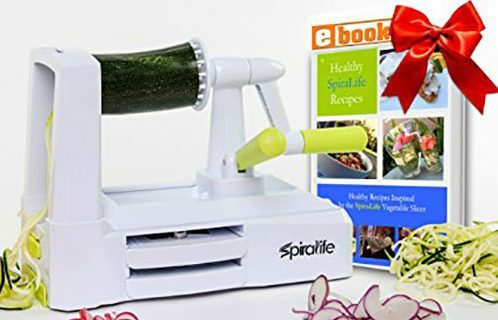 The SpiraLife Pro Premium Countertop Spiralizer is perfect for helping her create beautiful vegetable pasta dishes in a snap. Featuring three interchangeable blades and a collection of exclusive recipes, this unique gift is certain to inspire her imagination this holiday season and throughout the year! | Available from Lifestyle Dynamics. Buy now for just $19.95. 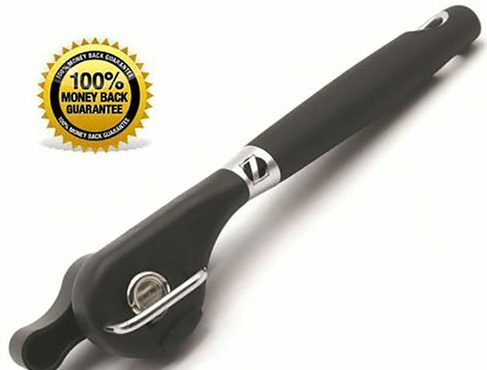 That special woman in your life will love getting the kids involved in her cooking adventures when she knows they are safe and sound with products like this Smooth Edge Can Opener! Designed to leave safe, smooth edges, you won’t need to worry about her or the little ones getting injured while creating their next edible masterpiece. | Buy now from Zulu Quality for just $19.99. This stylish Dual Salt & Pepper Grinder Set looks fantastic on her dining room table, and it’s highly functional too! 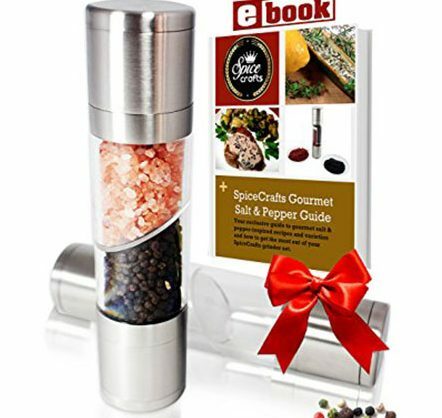 Featuring durable stainless steel grinder caps and a BPA-free acrylic central cylinder, this salt and pepper mill will add a little flavor to your favorite dishes for years to come. | Purchase today from Lifestyle Dynamics for just $13.95. No kitchen is complete without a well-equipped first aid kit. With a unique, easy access pocket system that keeps items organized and easy to access, tending to those minor burns and cuts that sometimes occur during her greatest cooking adventures is a snap. 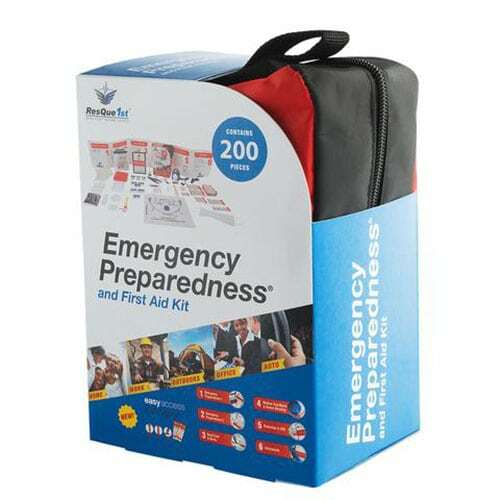 Buy yours today from First Aid Shoppe for just $39.95 and get prepared. Are you ready for Christmas dinner? These unique Christmas gifts for women will make preparation fun, exciting, and safe!